This course is closed to applications from Home (UK) and EU students for September 2019 entry. We are still accepting applications from overseas students. 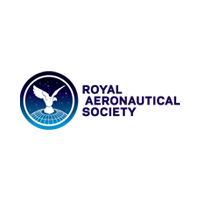 Understand the principles of aerospace engineering science and explore the latest thinking in aircraft design and manufacture. The first two years of this course give you a detailed understanding of core mechanical engineering principles. You’ll learn how to use mathematics and computing to analyse engineering systems, and develop knowledge in design and manufacturing processes. 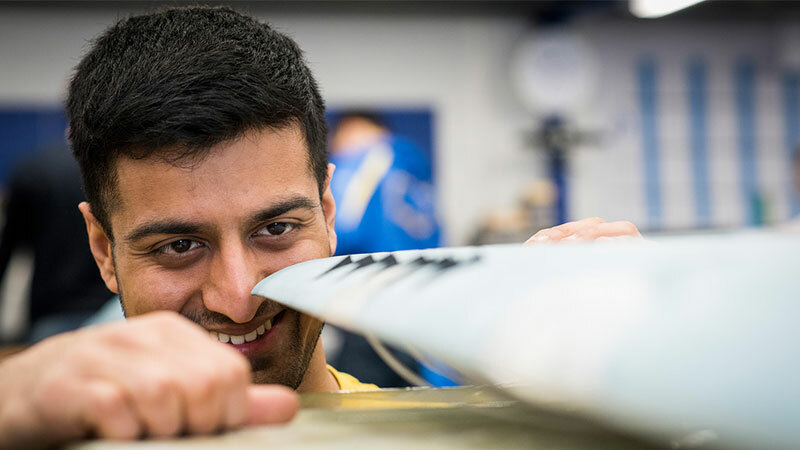 You’ll study aircraft performance, control and structures, aerodynamics, propulsion and helicopter aerodynamics. Lectures are balanced with laboratory work to give you the skills you need to build, analyse and test a product. So that you can develop a full understanding of aircraft from design to manufacture, you’ll visit an aerospace manufacturing company and take a flight test course at a local airfield. At Bath, we focus on giving you opportunities to apply what you’ve learnt through practical project work. This is to help you develop the set of skills needed by professional engineers. You’ll work on a group project to design a new aircraft to a specification given by industry or for entry into a competition such as the annual Unmanned Aircraft Systems Challenge. In your final year, you’ll choose from a range of specialist units and complete an individual research project that could be based on simulation, experimentation or design. Our MEng degrees give you an in-depth study experience through advanced taught units and project work. 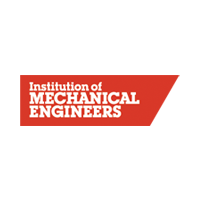 They also fulfil the educational requirements you need to become a Chartered Engineer. You have the flexibility to transfer to any of our five mechanical engineering degrees, as well as decide whether you want to go on placement, up to the end of your second year. You’ll learn from academics with expertise in mechanical engineering and established links with industry. They have knowledge in diverse areas including design, manufacture, biomechanics, materials, automotive and aerospace. Their international collaborations and research activities feed into undergraduate teaching and contribute to your learning experience. Our graduates have many skills that make them attractive to prospective employers, including teamwork, problem solving, creativity and numeracy. They hold specialist and managerial roles in high technology industries in engineering and manufacturing. Many of our graduates continue their studies with us or at other universities to pursue academic and research careers. Some of our graduates have gone on to work at international companies including Dyson, Rolls Royce, Google, Airbus, Unilever and nPower. Your application, especially your personal statement, should explain your motivation for choosing this degree and any relevant non-academic interests and achievements. You are more likely to be successful if you demonstrate a keen interest in Aerospace engineering through relevant reading, extracurricular or co-curricular activities, or work experience. Your previous academic study is also important. For example, if you have taken GCSEs we prefer applicants with a strong set (such as grade A*, 8 or 9 in at least five GCSEs or grade A or 7 in the majority of your GCSEs). We also prefer applicants with strong Mathematics and Physics GCSE grades. This is in addition to our essential GCSE requirements. You will need a strong performance in both Mathematics and Physics or Engineering as part of your entry qualifications. If you are taking qualifications including a mixture of subjects (such as A levels) we prefer either a relevant subject (such as Further Mathematics or Design and Technology) or a traditional subject (such as History). A*AA in three A levels including Mathematics and Physics with A* in Mathematics or Physics (or Further Mathematics if applicable). Some of our publications for 2019 entry state we require A* in Mathematics. This is an error: we accept an A* in Mathematics, Physics or Further Mathematics (if applicable). We apologise for this mistake. 36 points overall and 7, 6, 6 in three Higher Level subjects including Mathematics and Physics. D*D*D* in the BTEC Level 3 Extended Diploma (QCF), BTEC Level 3 National Extended Diploma (RQF) or Cambridge Technical Level 3 Extended Diploma plus grade A in A level Mathematics. Due to the mathematical content of the course, you will need A level Mathematics alongside a BTEC or Cambridge Technical qualification. We prefer BTEC qualifications in Engineering, Mechanical Engineering, and Aerospace Engineering and for you to study as many units as possible in Physical Science. We can also consider the above BTEC qualifications in Applied Science, Construction and the Built Environment, Building Services, and Cambridge Technical qualifications in Engineering. Please contact us to discuss the suitability of your optional units before making an application. D2, D3, D3 in three principal subjects including D3 in Mathematics and Physics and D2 in Mathematics or Physics. A pass in the Access to HE Diploma (in Science or Engineering) with at least 39 credits achieved at Distinction. This must include 12 credits from Mathematics units (including Calculus) achieved at Distinction and 12 credits from Physics units achieved at Distinction. Our Mechanical Engineering courses are academically challenging and require solid foundations of knowledge in Mathematics and Physics. We are able to consider Access to HE Diplomas in Science or Engineering, and we are looking for you to be studying a suitable level of Mathematics and Physics to be able to succeed in our courses. You will need to have studied Mathematics units worth at least 12 credits (including Calculus) and Physics units worth at least 12 credits. However, due to the time-limited nature of Access programme delivery, it is expected that you will have also completed a significant level of independent study in order to further develop and refine these skills. Pass units worth 120 credits including S217: Physics: From Classical to Quantum and a Distinction or Pass 1 (85%) in a relevant Level 2 Mathematics unit worth at least 30 credits. Typically, we would be looking for you to have studied units worth at least 120 credits including at least 30 credits at Level 2 in Mathematics. We would ideally be looking for you to be taking units including MST124: Essential Mathematics 1 and MST224: Mathematical Methods and S217: Physics: From Classical to Quantum. This information is a guide and we consider students applying with Open University Credits on a case-by-case basis. We will consider your application carefully and take note of any previous qualifications or relevant work experience. We may be able to consider alternative units to those listed. Please contact us to discuss your profile. Our Mechanical Engineering courses are academically challenging and require solid foundations of knowledge in Mathematics and Physics. We are able to consider HNC or HND qualifications in Engineering disciplines for entry into the first year of our course. You will need to gain an overall grade of Distinction, including a Distinction in at least 20 credits of Level 4 Mathematics. In addition, you will need an A level in Mathematics at grade A or a pass rate of at least 75% for the Open University module MST124: Essential Mathematics 1. HNC and HND qualifications may be counted as degree-level study by the Student Loans Company and therefore may be counted as previous study and have an impact on your ability to access student loans/grants for the entirety of your chosen degree. We recommend that you discuss this in detail with the SLC before following this progression route to the University of Bath. 5.7 overall with 6.0 and 5.8 in Mathematics and Physics subjects including at least one of these subjects in a state matriculation exam. Pass the relevant certificate with an ATAR or TER of 97 with grade A or 85 in Mathematics and Physics. Overall Band Position of 1 with HA in Mathematics and Physics. CGPA of 3.5 in the science stream with A- in Mathematics and Physics in the final semester. 85% overall with 8.5 in both Mathematics (5 periods) and Physics (4 periods) and 9.0 in either Mathematics or Physics. An average of 85% across 4 subjects with 85% in Mathematics and Physics. These requirements are for the CBSE, CISCE boards. Please contact us if you are taking this qualification with a different board. 5, 5, 5 in Calculus BC and 2 Physics APs. 19 in the Apolytirion with 19, 18 in Advanced Mathematics and Advanced Physics. We may be able to consider you for direct entry to year 2, depending on the content you have previously studied. £45 payable at the start of your course. This MEng degree is covered by the UK Foreign & Commonwealth Office (FCO) Academic Technology Approval Scheme (ATAS). Unless you are a UK, EEA or Swiss national you will need an ATAS Certificate to join this course. Find out more about applying for an ATAS certificate.